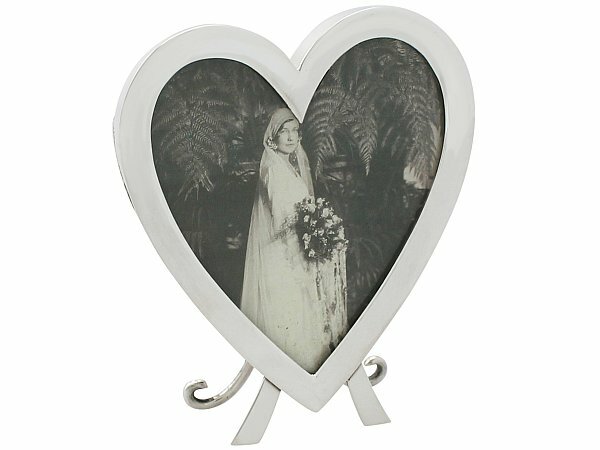 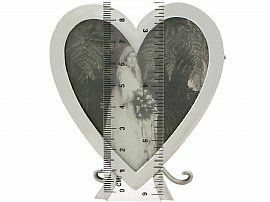 This fine antique Victorian sterling silver photograph frame has a plain heart shaped form. 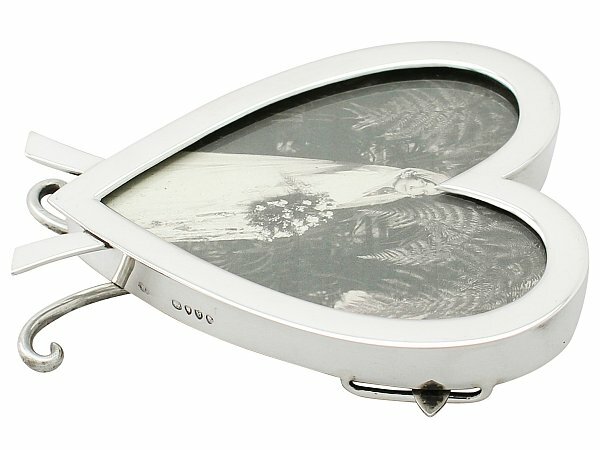 The surface of this small antique frame is plain and unembellished. 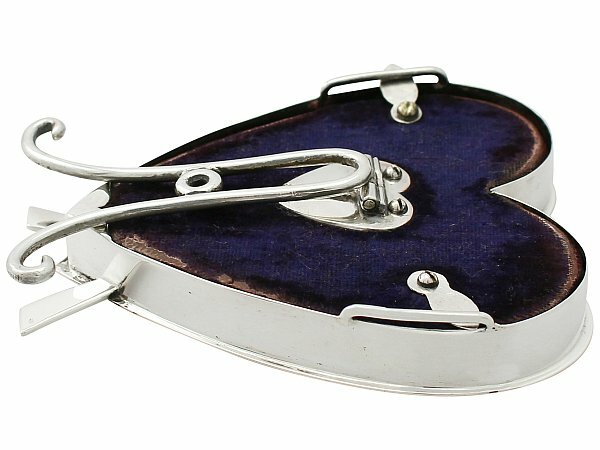 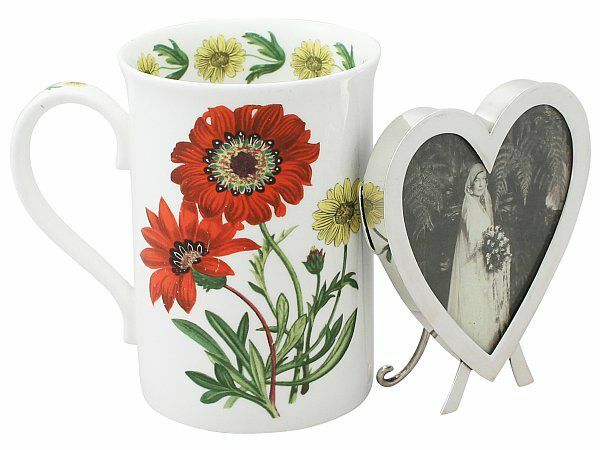 This impressive heart shaped frame is fitted with the original velvet covered back securing with two swivel catches. 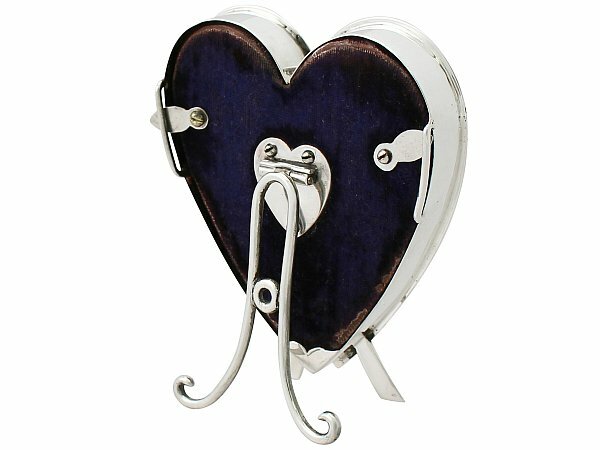 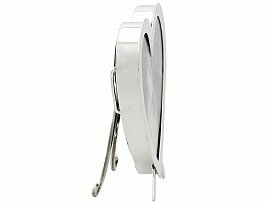 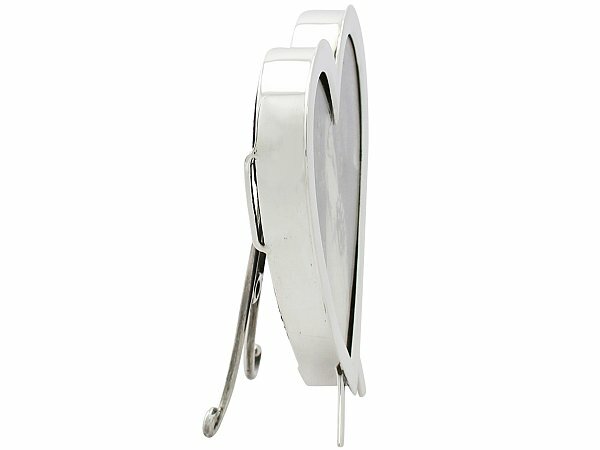 The back is fitted with the original wirework style scrolling strut with a heart shaped terminal. This antique frame is a very good gauge of silver, excellent quality and in excellent condition. 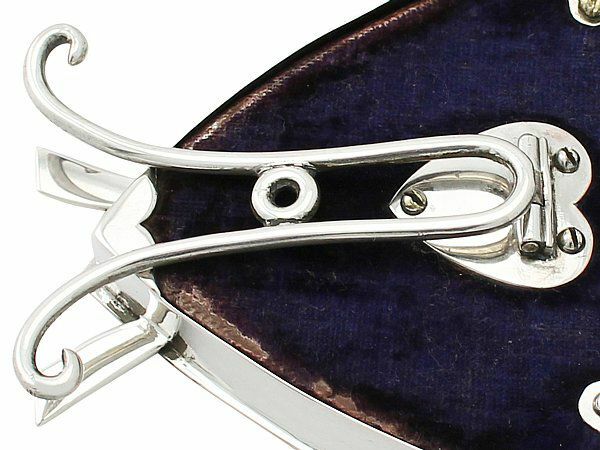 The velvet back of the frame has wear in keeping with age. 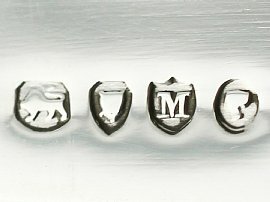 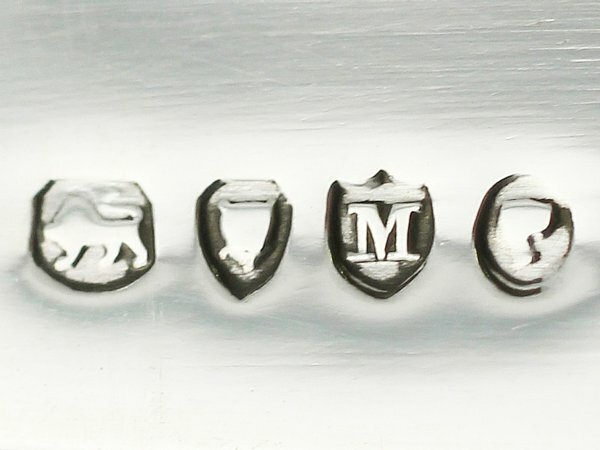 Full hallmarks struck to the surface of the rim are all very clear; the maker’s mark has worn and is illegible. 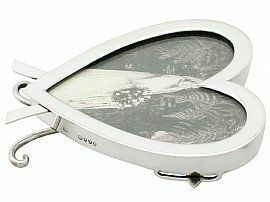 Reflections in photography may detract from the true representation of this heart shaped frame. Height of internal window 7.5cm/3"
Width of internal window 6.6cm/2.6"